•Hawaiian Spirulina Pacifica® – a superior strain of spirulina, with the highest known nutritional content of any spirulina. •BioAstin® Hawaiian Astaxanthin® – 100% pure, natural Hawaiian Astaxanthin®, the world’s strongest natural antioxidant with benefits for joint health, skin health, eye and brain health and for athletes and active people. The super strength 12mg BioAstin Astaxanthin is the best way to get your daily intake of astaxanthin in one simple dose. Anyone familiar with the importance of antioxidants should add this powerful supplement to their daily diet routine. Being one of the most powerful antioxidants in existence, astaxanthin has been shown to have a wide range of health benefits when taken consistently. Astaxanthin is so powerful that its potency as an antioxidant is more powerful than Vitamin C, Vitamin E, beta carotene, CoQ10, and green tea. Our astaxanthin is also non-GMO and free of yeast, corn, wheat, gluten, lactose, and BSE. Q. How many times a day should I take BioAstin Supreme? A. The 6mg VGels may be taken 1-2 times daily. Q. 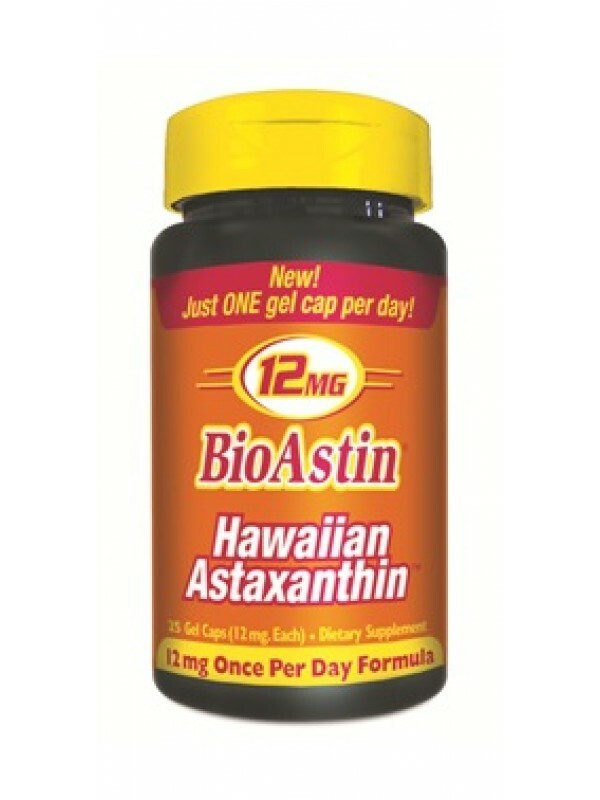 Do I need to take BioAstin Hawaiian Astaxanthin with food? A. It is recommended to take with food that has fat in it to improve the absorption rate. Q. What makes MD Formulas Astaxanthin different from regular astaxanthin? A. MD Formulas BioAstin Supreme still offers the same excellent benefits of our other astaxanthin, except the MD Formulas is made with a 100% vegetarian gelcap and contains 2 more mg of BioAstin per gelcap (vs. 4mg BioAstin) and is formulated with extra virgin olive oil. Q. How long until I feel the effects of BioAstin Supreme? A. Because it is a fat soluble antioxidant, it requires time to build up in one’s system. Results vary, but noticeable results are usually seen between 2-6 weeks. Q. Why should I take astaxanthin? A. Astaxanthin has a wide variety of different health benefits. As one of the most powerful antioxidants in nature, it provides support to the skin, joints, immune system, cardiovascular system and brain. Many athletes include it in their diet regimen because they find it increases their performance and even helps them recover from exercise faster. Q. Is there anything I should take in congruence with astaxanthin? A. Hawaiian Spirulina is another fantastic supplement to take with astaxanthin as they both have numerous but different health benefits. Q. Are there any age limitations for taking astaxanthin? A Children under the age of 10 should take a lesser dose. It is not necessary for children under 2 years old. Q. Can I get an adequate amount of astaxanthin from the food I eat? A. Astaxanthin is found in wild Pacific sockeye salmon, as well as other plant and animal sources such as krill, algae, crab, shrimp, and lobster. Most likely, however, even if you’re consuming sources of astaxanthin, you’re probably not getting enough to make a significant impact. 1 gelcap daily with food. When taken at the recommended dose, the 25 gelcap supply will last 25 days.